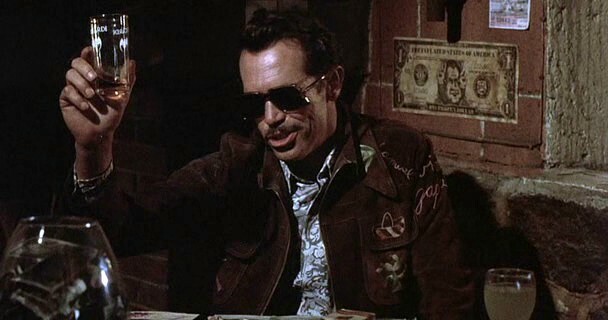 Reviled on its release in 1974, Sam Peckinpah’s (The Wild Bunch) nihilistic yet poetic action-accented crime drama Bring Me the Head of Alfredo Garcia is today considered to be a masterwork of the filmmaker, as well as its leading man, Warren Oates (Badlands). 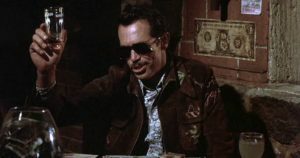 Oates portrays Bennie, a wastrel sometime piano player lost in the wilds of Mexico. He and his beautiful, tragic lover Elita (Isela Vega) stumble across one last, perilous chance at happiness: in order to claim more money than they’ve ever dreamed of, all they have to do is retrieve the head of a wanted man. But the path to their ultimate escape is littered with dangers—some, of course, of the fatal variety. Special features on Twilight’s Blu-ray edition, which is being re-issued after a smashing limited release in the spring of 2014, include an isolated soundtrack (Jerry Fielding composed the poignant score), an audio commentary with writer/producer Gordon Dawson and film historian Nick Redman, another commentary with film historians Paul Seydor, Garner Simmons, David Weddle, and Nick Redman, Passion & Poetry: Sam’s Favorite Film, A Writer’s Journey: Garner Simmons with Sam Peckinpah in Mexico, Promoting Alfredo Garcia, 6 TV spots, the original theatrical trailer, liner notes by Julie Kirgo. As supplier Twilight Time prints up only a limited amount each title, be sure to keep an eye on the Twilight Time site or that of their distributor Screen Archives’s for the announcement of the prebook date (usually 2-3 weeks before the title’s street date) and get ready to reserve!